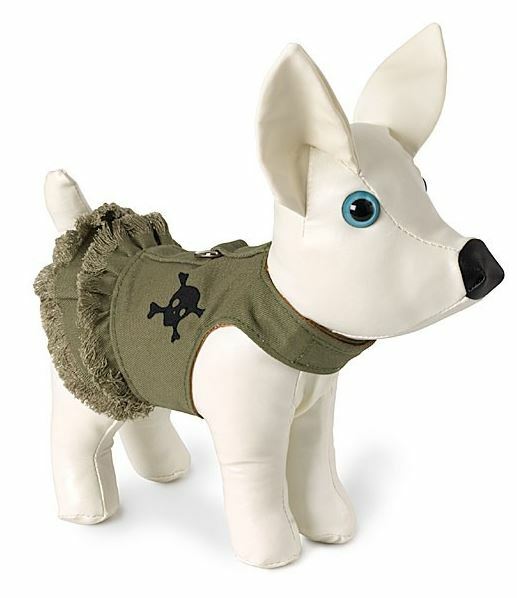 This Green Denim Dress Style Dog Harness is by Doggles and comes with a black velvet skull emblem. 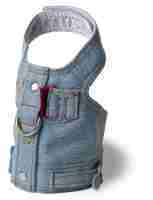 Limited Stock On This Item. Only Teacup Size Available. Buy Now! 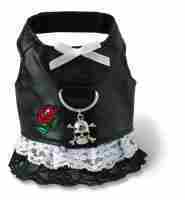 This is the ideal harness for your little girl doggie and the perfect complement to your best friends' wardrobe. 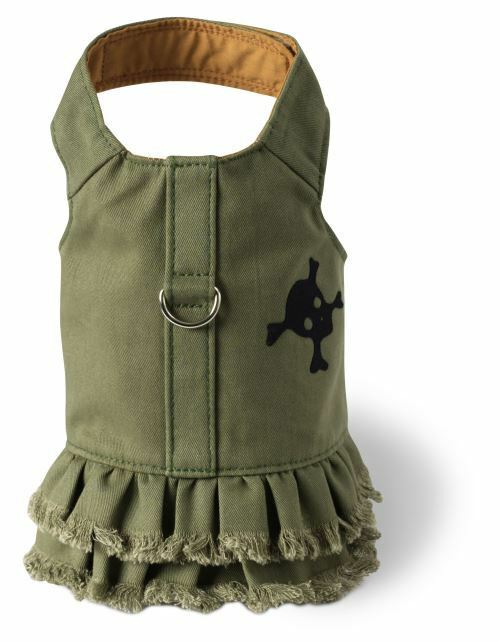 The Green Denim Dress Style Dog Harness is made of breathable, durable denim, perfect for all outings.